I recently shared the full text of my Keynote Address which I was privileged to deliver at the 2014 Tennessee Civil War Sesquicentennial Signature Event in The Factory, Franklin last November. The event was organised to mark the 150th anniversary of the Battle of Franklin. 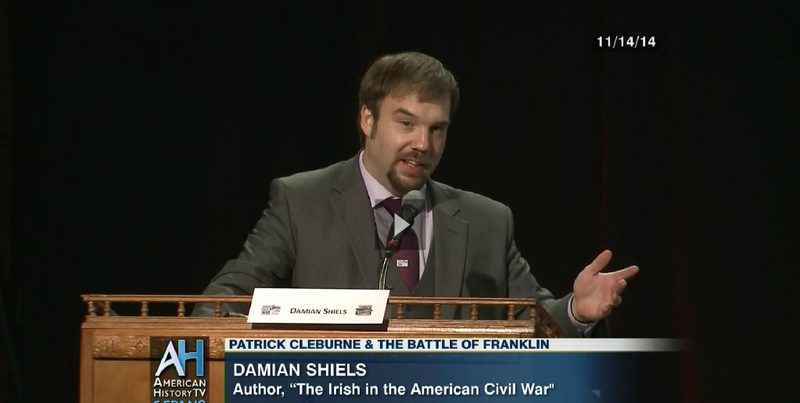 In the Keynote I discussed the life, legacy and death of Patrick Cleburne, along with the stories of a number of other Irishmen who were involved in the engagement. C-Span were in attendance to record proceedings, and they recently broadcast the full address of c. 50 minutes. For anyone interested, it is now available to view on their website which you can access through this link or by clicking on the image below. Once again, I tip my hat to you. Regrettably I could not be there and this will be my consolation. I look forward to this. Nice one Damian. 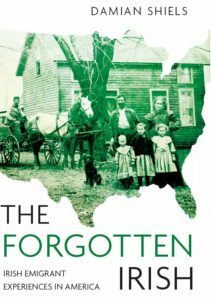 The international perspective is something that so often seems overlooked in American discussions of their Civil War.